The swim distance markers initiative in Salthill, Galway city, has won an international award that recognises partnerships that have transformed urban spaces into active spaces. The swim distance markers, that are located at 100m, 250m, 500m, 750m, and 1km distances from Blackrock Tower in Salthill parallel to the Prom, have been a catalyst for increasing the number of people who swim in the sea in Salthill over the past seven years. The appeal of sea swimming and the simplicity of the idea to promote swimming ensured that this initiative secured the People’s Choice Award. Fiona Donovan, project lead for the Healthy Ireland: Healthy Cities and Counties project and who developed the idea for the swim distance markers, says that it is so important to support people to be active and healthy. 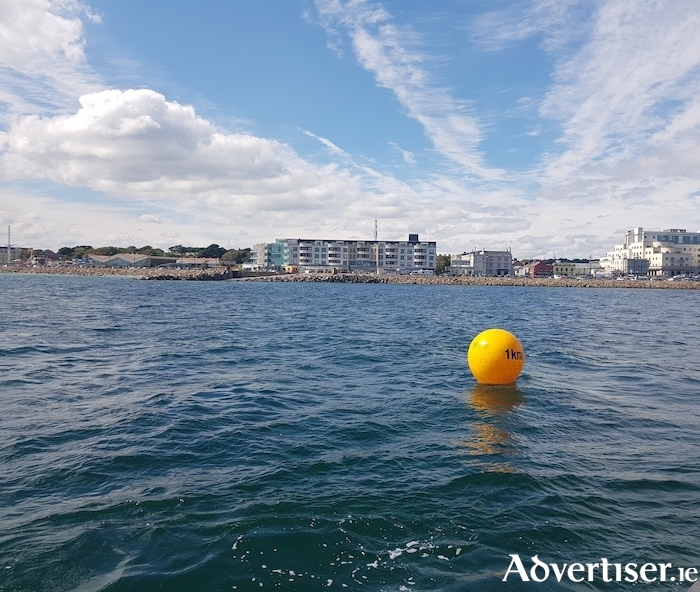 "The swim distance markers in Salthill have been hugely popular as they have opened up people's mind to swimming in the sea, provide easy sighting for swimmers, and they also provide incentives to progress." To transform the idea into a reality, the technical expertise of Sheena Fennell, senior technician with NUIG Earth and Ocean Sciences has been crucial. Ms Fennell said the moorings have been designed to withstand the summer swell within Galway Bay and also to be deployed easily from local boats. Key partners involved in this initiative include the Health Service Executive, National University of Ireland Galway, the Galway City Council, Galway Sports Partnership, and local sports clubs including the Galway Triathlon and Corrib Water Polo clubs. In addition, many local users have volunteered during the installation of the buoys over the last seven years. This initiative will be showcased at the International Sport and Culture Association (ISCA ) Conference in Paris in November.